Climate Control Products: Temperature, Humidity and Air Conditioning Devices & Systems for Healthier Home Environments at Discount Prices! Stay Comfortable Year-Round and Enjoy the Benefits of a Healthier Indoor Environment in Your House or Individual Rooms with Top-Rated Electronic Climate Control Products. 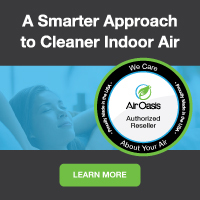 Here We Offer the Most Popular Temperature, Humidity and Home Air Conditioning (HVAC) Devices, Gauges and Systems that Automatically Monitor and Help Maintain Your Best Ambient Air Quality, At Discount Prices with Free Shipping! Being comfortable in your home or any indoor area is very important as this directly affects your productivity, health, how good you feel on a daily basis, and overall quality of life. And being comfortable depends heavily on how well you are able to control the climate inside your house. Indoor climate control is best achieved with the help of recommended electronic devices and gauges that enable you to monitor, change and automate humidity and ambient temperature settings in a home or individual room. HVAC or heating, ventilation and air conditioning systems are popular for keeping temperature at comfortable levels, but with the use of the best top-rated climate control products you can get more accurate information about your indoor environment, reduce your heating and cooling bills, and stay comfortable more easily. Portable temperature and humidity control products such as heaters, fans, evaporative coolers, humidifiers, temperature gauges and dehumidifiers are not only best for making your HVAC system more efficient, but they are absolutely necessary when there is no central heating and cooling system or climate control devices in the house. Top-rated climate control products are also recommended when you travel to places where the indoor environment isn’t controlled very well or you aren’t sure about the ambient air quality. For those with health issues, electronic temperature and humidity control products have been shown in research to help improve various physical and mental conditions, so they are often recommended as a way to automatically monitor and control their environment. Keeping humidity from being too high, for example, is a popular way to control mold and bacteria growth in your home, space heaters provide cheap individual heat, and fans keep the air circulating so there is more oxygen available. When deciding which top-rated climate control devices or systems to buy, you’ll want to first take an accurate assessment of what your indoor environment is like now, what conditions need to change, and then decide what products that will best help you make those changes. You can get a lot of good information and automatic monitoring of temperature and humidity in an individual room by simply using a quality hygrometer thermometer. Then, we recommend that you use an electronic gauge and make sure your overall house humidity is kept at a healthy 40-45%, which is where most people are comfortable—which you can easily change with either a humidifier or dehumidifier. Next, consider whether your heating and cooling (HVAC) system seems to be running all the time or not. If it is, it’s working hard to maintain the right temperature and running up your power bill. You can use a combination of popular space heaters or evaporative coolers (for dry climates) and use far less energy but keep the ambient air temperature in your home just right. Quality electric fans are also a highly-recommended device to lower the ambient temperature and reduce central HVAC use because they circulate air much more cheaply than your home’s heating and cooling system can. Those energy savings not only reduce your individual power bill, but also help the environment. Also keep in mind that indoor air conditioners naturally remove moisture from the air in your rooms and your house in general, so in hot dry climates where the air is already dry, your first climate control product to consider (other than an electronic humidity gauge) is probably going to be a humidifier. This will allow you to quickly change and monitor the humidity to healthier levels that reduce sinus, asthma and allergy symptoms, etc. Staying on top of humidity is also one of the best ways to prevent damage to furniture finishes, artwork and other humidity-sensitive home items, automatically reducing insurance claims, etc. Whatever climate control devices, gauges or systems you need to help you achieve and automatically maintain your best, healthiest home or room environment, we offer proven, top-rated heating and cooling products that will last and give you excellent climate control and monitoring for many years. And since we are an online store without the overhead of traditional stores, we’re able to offer all of the most popular electronic temperature, humidity and air conditioning products at the best discount prices and ground shipping is on the house (free) to anywhere in the continental U.S. We also have a team of indoor air quality and climate control experts on hand to provide useful information, recommendations and answer questions. Call us toll-free today at 1-800-701-2513. We are here to help!